We have published some blog pieces on different aspects of our peace education work, which you browse via the links below. 100,000th download of our acclaimed free teaching resources: Announcing this recent success, and giving an overview of our work and other achievements! 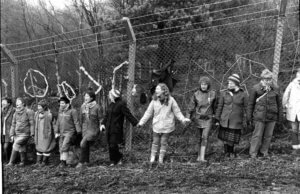 ‘From Cold War to Hot Topic: ‘Dial M for Missile”: A spotlight on our newest teaching pack, showing how designing a nuclear bunker (amongst other activities!) can help students see their world in a new light.